“Blessings” — also the title of not one but two of the standout songs on Chance The Rapper’s already acclaimed mixtape Coloring Book — are prayers that manifest themselves in the physical. And why not celebrate that? Or is it more complicated than that? It’s amazing what hearing Are you ready for your blessings? Are you ready for your miracle? does for the spirit — especially when flying back to Washington, D.C., on Sunday after recording a national radio show. Not to go all Meek Mill, but I really did used to pray for times like this to write like this. Black Lives Matter and black life matters. Black Love Matters. Coloring Book, specifically “Blessings (Reprise),” came at a point in my life when the answer to both questions is, quite simply, yes. I’ve never been the most religious person in life, though I do pray. I pray for my family. I pray for my friends. I even pray for society, though that gets difficult at times. My grandma has a saying she’s always hammered home: Even when you receive a blessing, never take it for granted. You don’t deserve to have everything you pray for. You’re blessed to have everything you pray for. A subject oftentimes entrenched in my prayers is the avenue to express my thoughts and emotions — I haven’t had that in awhile. Tuesday — the long-anticipated launch of The Undefeated — was my blessing. These words are my miracle. But I digress. Or do I? One thing that hasn’t changed for the independent Chicago emcee, now 23, is that he’s still wed to his hometown. Its triumphs motivate him. The Chicago White Sox have recognized his growing cultural significance, saddling him with the responsibility — to keep it all the way real — of making them look cooler to the younger crowd baseball desperately needs. The city’s beauty can still light up Chance’s eyes and energize him. But its tragedies forever stick to his heart and his creative spirit. Chicago’s Jonylah Watkins, a 6-month-old girl, was shot five times in 2013 while her father changed her diaper. Hadiya Pendleton, a 15-year-old Chicago teen, was killed by a stray bullet just weeks after attending President Obama’s second inauguration. Chance watched his own friend take his last breath — Rodney Kyles Jr., a 19-year-old philosophy student who was stabbed to death in a fight in 2011. My big homie died young / Just turned older than him, Chance rapped about Kyles on “Acid Rain.” I seen it happen / I seen it happen / I see it always / He still be screaming / I see his demons / In empty hallways. But where there’s sadness, love can follow. Music is therapy. Marvin Gaye found peace following Tammi Terrell’s death while recording his 1971 album What’s Going On. Ja Rule named his 2001 album Pain Is Love. And Cee-Lo: Strugglin’s just a part of my day / Many obstacles have been placed in my way / I know the only way I make it through / Is because I never stop believing in You. It’s from Outkast’s “In Due Time” and is as much of a homage to faith and perseverance and blessings as anything the rap genre can claim. Chance’s newest tape, Coloring Book, is in this tradition, and is the happiest rap project since perhaps The Foreign Exchange’s 2013 album Love In Flying Colors. Phonte Coleman and Nicolay detail the process of easing into a new, secure relationship after getting over a passionate, highly tumultuous union. Chance is in a new and good place of “Blessings,” and a lot of it has to do with fatherhood. Chance’s blessings boil down to two women who have changed his perspective on life. 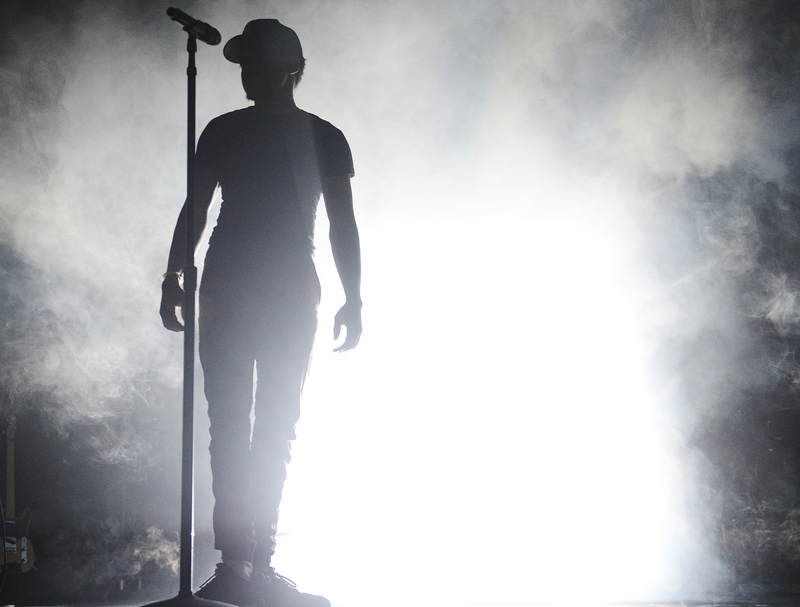 Photo by Brent Lewis/The Denver Post via Getty Images Chance The Rapper performs at the Fillmore Auditorium on November 16, 2015 in Denver, Colorado. And yes, the mixtape is that good. Rap’s newest tag team, 2 Chainz and Lil Wayne, provided a dope change of pace with “No Problem.” Lil’ Yachty and Young Thug bodybagged “Mixtape.” Chance and Justin Bieber on the slow-grinding “Juke Jam” is tailor-made for BET’s Midnight Love if Midnight Love was still a thing. And, somehow, Jay Electronica frustrates fans even more by doing exactly what Jay Electronica does — tease them with the thought of a full-length project that may never arrive. But at its core, Coloring Book is Chance testifying as young Riley Curry did. Waaayyy up. I feel blessed. Black Lives Matter and black life matters. Black Love Matters. Tough times don’t last, but unfortunately, neither do good ones. Chance watched his best friend bleed to death in front of him. And last September, he watched his daughter enter the world. With blessings come great responsibility, a heavenly edict he seems more than eager to accept. This is Coloring Book’s most redeeming quality. Me and my girl plan to stay to the end / Hope there never come a day where we / Be better as friends, Chance raps on “Finish Line.” We in a marathon / We could build a marriage on. Chance The Father is enjoying every aspect of parenthood. Changing diapers, falling asleep with his daughter on his chest, the occasional vomit on his good shirt. Those banal memories that perfectly complement the emotionally charged moments we create Facebook photo albums for. Hear it in the voices of Ty Dolla $ign (and friends). That’s how it hit home for me. On that flight. Chance and I are at different points in our lives — him with a baby girl, me at a baby website — but I have much to be thankful for.